Over the past few years, Ossia has impressed us with demonstrations of its over-the-air power delivery system which promises to make charging cables and pads obsolete. But it’s always been just demos of prototypes, which feels like a constant tease of a future we want right now. 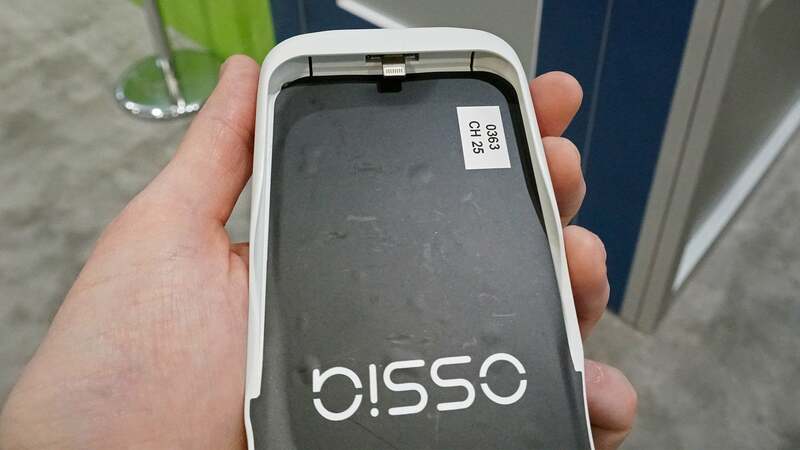 For CES 2019, however, Ossia worked with accessories maker Spigen to develop the first truly wireless charging case for smartphones, and given us a more solid timeline of when the company’s wireless power tech will be available to everyone. The Spigen Forever Sleeve is reminiscent of other charging cases that pack an additional battery designed to top off your smartphone without requiring you to find a power outlet. Designed for the iPhone X, with other iterations planned for additional devices later on, the Forever Sleeve also features one of Ossia’s Cota chips allowing it to receive and convert wireless power signals into usable electricity. As long as a user is standing within 10 to 12 feet of an Ossia wireless power transmitter, their phone will be perpetually powered. But that could be dramatically improved as today Ossia also announced a new version of its wireless technology that uses a 5.8GHz signal, instead of the 2.4GHz signal it’s relied on to date. The upgrade will increase both the range and power of its wireless power delivery, while reducing the size of the transmitter and receiver chips required, making it easier for OEMs to integrate the charging technology into their products.